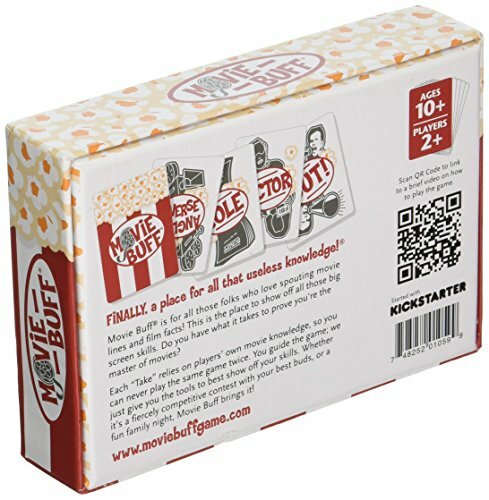 Movie buffs and board/card game aficionados will definitely have a grand time with this new poppin’ new card game with tons of trivia from all movies of different genres! It’s play time that’s gotten even better! It’s mind stimulating and overflowing with so much fun. 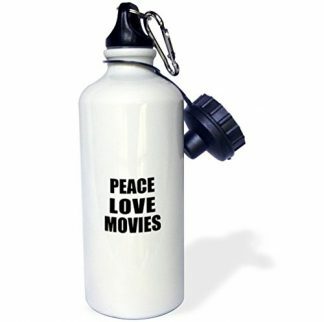 Get you family or friend the most exciting movie game experience there is. Now this movie trivia game is not for the fainthearted. It is not your typical trivia game where questions and answers are given, it actually has as much twists and turns that it can outplay any movie plot. It even has a Hot Diggity Award seal of approval under its belt. 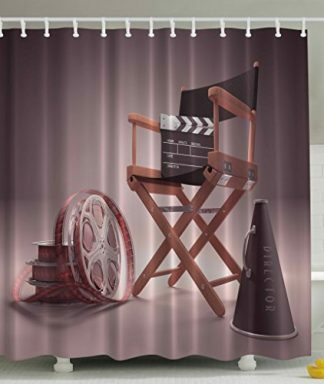 If you are one of those folks whose heads are just about to burst with all the movie lines and film fact that you know, then this is the game for you! This clever game challenges your memory and even your ability to grasp a new game. Being a trivia game with a twist, you need to read the rules more than once to get your head into it. Here’s a simple version of the game play: To start, there are trivia cards labeled Actor, Movie, Role, and Quote. There are also strategy cards labeled Take 5, Reverse Angle, Edit, and Cut. Each player gets 10 cards out of the 160 trivia and strategy cards. First player lays down a trivia card and answers it. 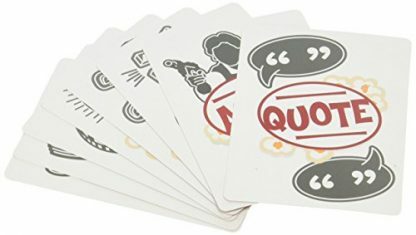 The next players go on, laying down trivia cards of their own and answering them, but always in connection to the trivia card answered by the player before them. The one who runs out of cards first is the winner. Sound simple, right? The strategy cards, though, are the spices to the game, giving out sudden excitement and shock as the game progresses. 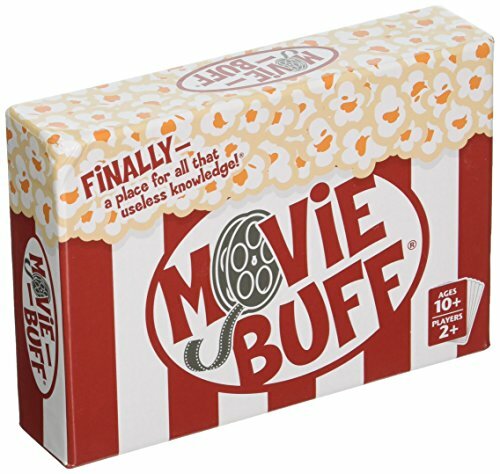 Movie Buff is a game that can be taken and played anytime and anywhere. It is the perfect outlet to all those good to know, but let’s admit, useless facts taking up space up in your gray matter. Got a friend who you know would love this game? Great! 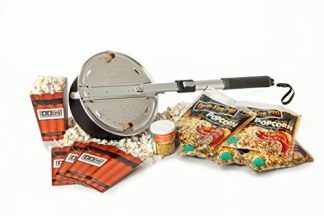 Get this gift, and we guarantee a more exciting and fun movie night / pajama party / outing for you and the whole gang.